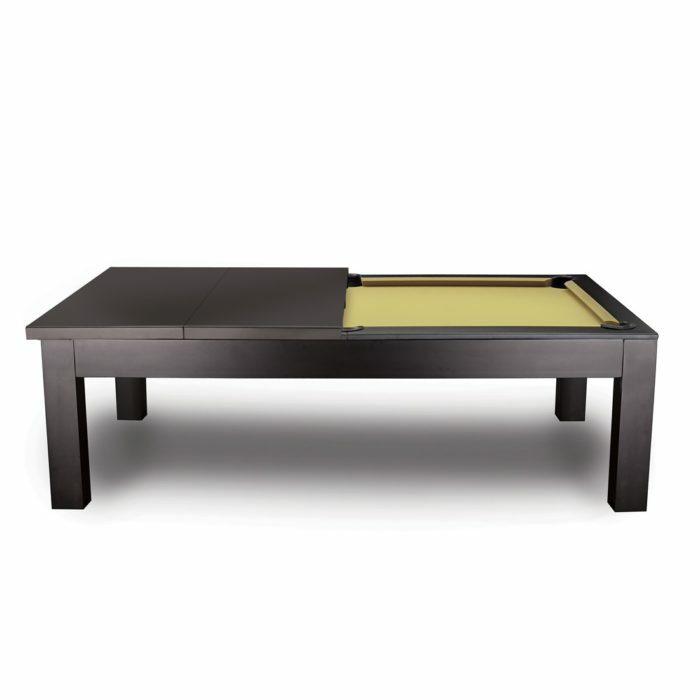 Home / Modern Tables / Integra With Dining Top! 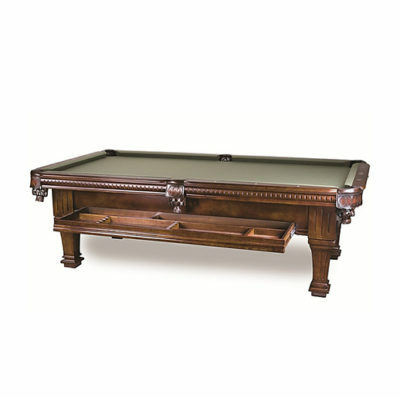 The Integra 8-foot Pool Table from Billiards N More is not just for shooting pool. 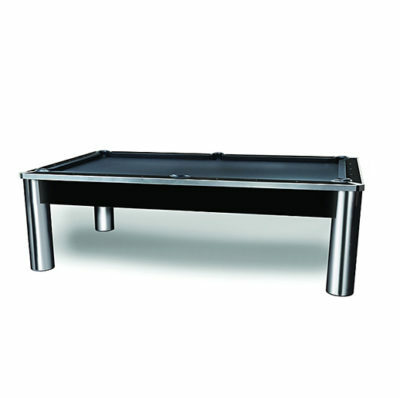 It comes complete with a dining top so you can entertain your guests with a meal and fun! The table is solid wood made of Aspen and finished in a gorgeous dark walnut. The pool table features leather internal drop pockets, K66 cushion rubber for true rebound, and 1-inch backed K pattern slate for true roll. 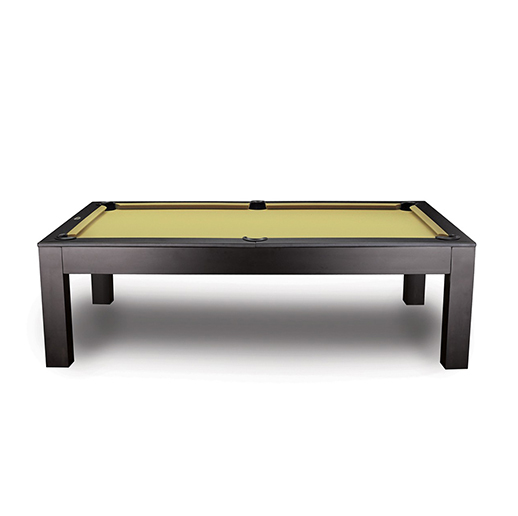 The post legs keep the table stable during play or when the group is dining. 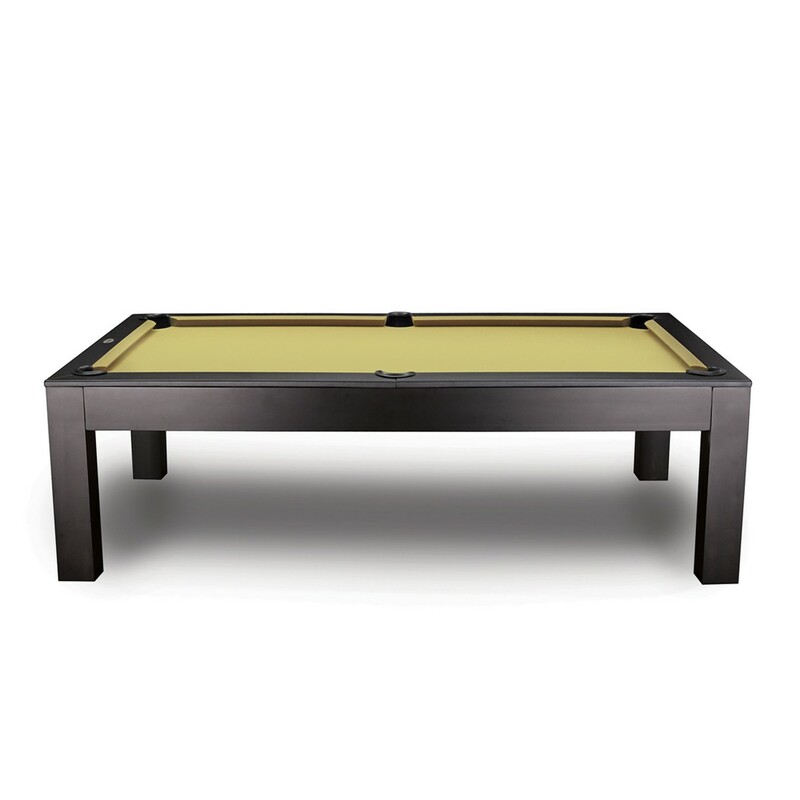 The ding top is a 4-piece design to make storage and handling easy. 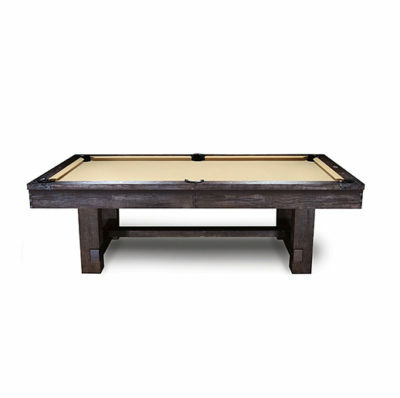 It is made of solid Aspen. The Integra makes a great addition to any home and adds the flexibility for a large dining party when needed.